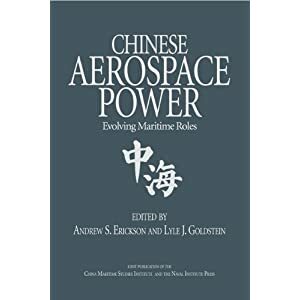 Chinese translation (traditional character version/繁體版/繁体版) likewise available: Andrew S. Erickson, Lyle J. Goldstein, and William S. Murray, “中國水雷作戰: 中國海軍的「殺手鐧｣,” 美海軍戰院中國海事研究第3號 (2009 六月), translation by 蘇文啟 [Su Wen-Chi], ROC Navy officer (retired). 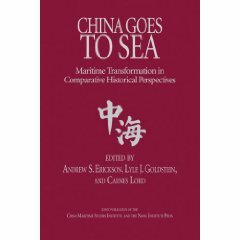 Japanese translation also available: 米海大論文 「中国の機雷戦」の紹介. While photos of a first Chinese aircraft carrier will no doubt cause a stir, the Chinese navy has in recent times focused much attention upon a decidedly more mundane and nonphotogenic arena of naval warfare: sea mines. This focus has, in combination with other asymmetric forms of naval warfare, had a significant impact on the balance of power in East Asia. In tandem with submarine capabilities, it now seems that China is engaged in a significant effort to upgrade its mine warfare prowess. Submarines are large and difficult to hide, and various intelligence agencies of other powers are no doubt attuned to the scope and dimensions of these important developments. By contrast, mine warfare (MIW) capabilities are easily hidden and thus constitute a true “assassin’s mace” (杀手锏 or 撒手锏)—in the American metaphor, a “silver bullet” for the PLA Navy, a term some Chinese sources, including the PLAN itself, apply explicitly to MIW. Relying heavily on sea mines, the PLAN is already fully capable of blockading Taiwan and other crucial sea lines of communication in the western Pacific area. Indeed, sea mines, used to complement a variety of other capabilities, constitute a deadly serious challenge to U.S. naval power in East Asia. This paper proceeds in ten steps. First, there is a discussion of the Persian Gulf War as a catalytic moment for contemporary Chinese MIW. A second section develops this context further with an account of the little-known history of Chinese MIW. The next two sections consist of detailed descriptions of the PLAN mine inventory and the various means of delivery. A fifth section addresses the human factor in Chinese MIW development, outlining recent training and exercise patterns. The following section offers a provisional outline of the PLAN’s evolving MIW doctrine. The seventh section brings prospective mine countermeasures (MCM) programs into the strategic equation, and the eighth discusses specific scenarios of concern, especially the Taiwan blockade scenario, aiming for a comprehensive net assessment of the MIW component in the future Asia-Pacific maritime security environment. 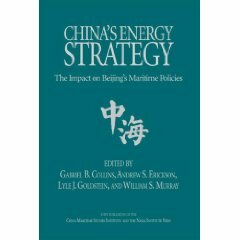 The discussion of scenarios is followed by an evaluation of an alternative viewpoint concerning Chinese MIW potential. In the tenth, concluding, section, implications are discussed for U.S. defense and foreign policy. This research has been presented at such events as the 2009 National Defense Industrial Association “Clambake” conference and the Mine Warfare Association (MINWARA) Spring 2009 Regional Conference. For additional details, see “Chinese Naval Mine Warfare: A PLA Navy ‘Assassin’s Mace.’” For related briefing slides, complete with detailed graphics and photos, Andrew S. Erickson, “Chinese Naval Mine Warfare: A PLA Navy ‘Assassin’s Mace,’” presented atMine Warfare Association (MINWARA) Spring 2009 Regional Conference, “Mine Warfare—‘Home’ and ‘Away’ Game Challenges,” Panama City, FL, 19 May 2009. Scott C. Truver, “Taking Mines Seriously: Mine Warfare in China’s Near Seas,” Naval War College Review 65.2 (Spring 2012): 30-66. 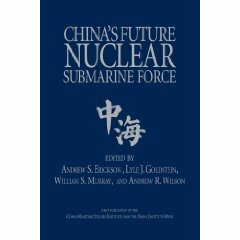 For an article-length summary of CMSI’s early PRC MIW research, see Andrew Erickson, Lyle Goldstein, and William Murray, “China’s ‘Undersea Sentries’: Sea Mines Constitute Lead Element of PLA Navy’s ASW,” Undersea Warfare 9 (Winter 2007): 10-15. For related analysis, see Norman Polmar, “Is There a Mine Threat?” U.S. Naval Institute Proceedings 134.2 (February 2008): 88-89.